The Verdict: I walked into the Merthyr Bowls Club expecting to get a traditional pub parma and that is what I got. All of the elements of this dish were above average without being excellent. Due to a bit of breeze coming of the Brisbane River and the haunting waft of smoke from the smokers area across the balcony of the Club our meals were taken inside the club next to the pokies. Chicken Piece: The chicken piece was well crumbed and, despite some obvious burned bits on the outer edges, had been pretty well cooked. Tomato Sauce: The tomato sauce was definitely the hero of this dish. It covered the chicken piece pretty well and was spread thickly across the chicken piece. The sauce tasted great. Ham: Much like the remainder of this dish, the ham got its job done on this dish without metaphorically setting the world on fire. The size of the piece was complimentary to the size of the chicken piece and it tasted as ham should. Cheese: A close second to the tomato sauce for the hero of this dish, the cheese was well melted across the chicken piece and complemented the other elements of the dish well taste wise. Side Dishes: Much like the rest of this dish, the side dishes were exactly what I would have expected from a pub / bowls club meal. The portion of chips was a large one and the chips had been well cooked. If anything they were a little bit bland and needed some salt. The salad was a no frills garden salad with a nice dressing. Presentation: Probably the largest failing of this meal was the fact that chicken piece covered not only a large portion of the chips but also a portion of the salad. Whilst this did not massively effect the side dishes it was aesthetically not pleasing. The Venue: Merthyr Bowls Club is in New Farm very near to New Farm Park near the Brisbane River. It is a very small club such that its inside area is a combined eating and pokies room. The outside seating area has spectacular views of the Brisbane River however, as the Parma Consigliere found, when the breeze is right smoke from the smoking area can find its way into this area. My parma was $21.50 which I felt was a little on the high side. The Final Word: As I said in the preamble, this chicken parmigiana met my expectations. I do not mean this to connote negativity. The Merthyr Bowls Club chicken parmigiana is exactly the chicken parmigiana you would expect from a bowls club. All of the elements were good without being great. 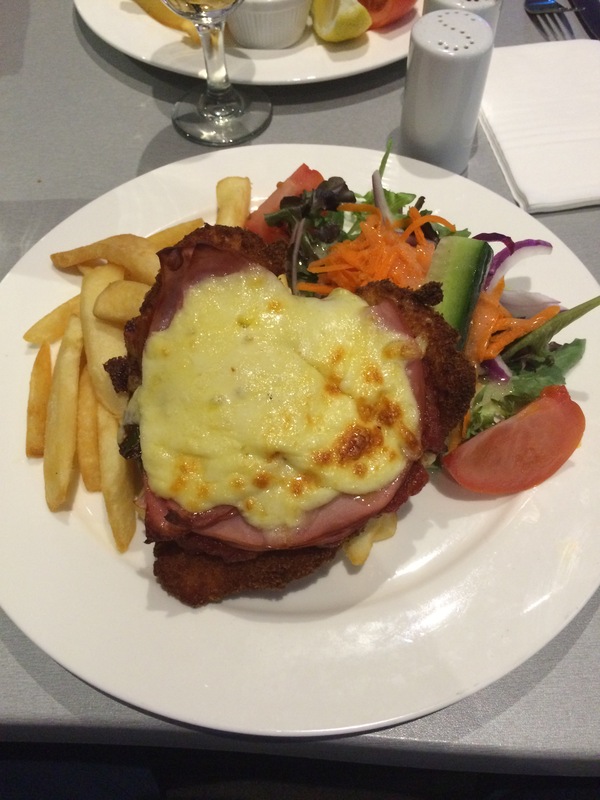 This entry was posted in Uncategorized and tagged brisbane's best parma, chicken, chicken parmigiana, merthyr bowls club. Bookmark the permalink.